This question is not one that has an easy yes / no answer. 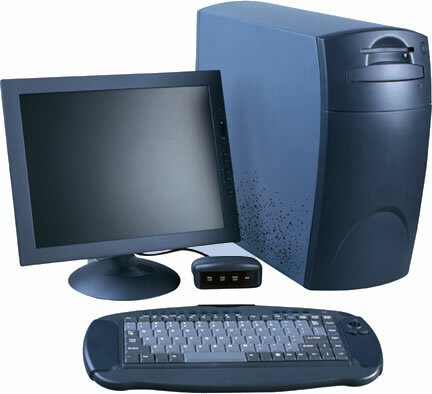 If your PC is over 5 years old the answer may well be no, and more recent PCs can often be upgraded relatively cheaply. 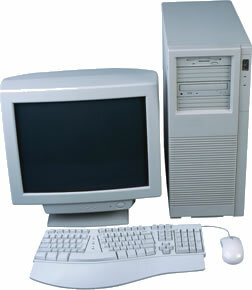 Whatever the age of the PC it will depend upon its original specification and the level of standardisation of the parts. A proper answer is that we will be able to advise you of the potential cost of upgrades versus the cost of a new machine. You can then weigh up the pros and cons more easily. The trouble with upgrades is that to upgrade everything to the same specification as a new machine will often cost more than the equivalent new PC. However, in an effort to prolong the life of a computer it is often possible to improve certain components. More memory - the cost of RAM (the memory of your PC) is now low enough for any PC to benefit from an increase. This can often prove the best and most economical upgrade. Hard Disk - a new hard disk for your PC will add hugely to it's capacity to hold data, but is unlikely to speed it up much. Although modern hard disks are many times faster than they were only a few years ago, they will be limited by other factors inside your PC. The new hard drive is a worthwhile upgrade if your PC is fast enough but you've run out of storage space. CD/DVD Rewriter - many new machines are delivered without floppy drives (the 3 1/2 inch disks we always used for storage until recently). With the growth in file sizes it is now sensible to back up all data to CD/DVD-ROM. The cost of recordable media is now so low, anyone can afford to back up all their data to CD or DVD. Any machine with Windows 98 onward should be able to install a CD/DVD Rewriter. It is sensible to maximise the memory at the same time to reduce copying time. Peripherals - under this heading we include keyboards, mice, monitors, speakers and other external devices. The most popular upgrade currently is of the monitor. The price of flat screens has come down to little more than the equivalent monitor and for most people they provide a much better solution. Also available are cordless keyboards and mice, which help with the layout of your home desk. Other upgrades are available, including graphics cards, processors, power supplies, fans and external storage devices. In each case the upgrade needs to be considered carefully in the context of the existing PC setup. Contact us and we can advise on any options.